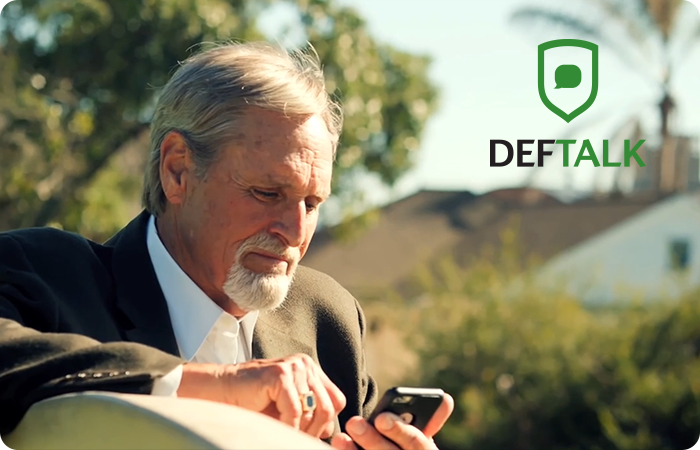 DefTalk is a next-generation secure messaging app, an app for your smartphone, enabling you to exchange text messages as well as audio, photo and video files without paying for them, as you do for your SMS. DefTalk is a new level of communication that uses standard internet connection. It allows you to communicate with your friends and business partners, resting assured that your correspondence is 100% secure. DefTalk encrypts all the data on your phone and transfers it in an encrypted form. Your information is not even stored on our servers — hence no one can ever steal it. Data are stored encrypted on your phone and can be deleted in a set amount of time after they have been read or opened by the recipient. You can further secure the app by setting up a password. All this makes our messenger app a new and absolutely secure means of communication. And it doesn't stop there! While creating DefTalk we paid special attention not only to the security issues, but also to the app’s operating speed and user experience. Our newly-developed SmartSmileTM technology lets you socialize in a new way by replacing large volumes of text with just a few indispensable stickers from our many sticker packs for all walks of life. We’ve even developed a special function allowing you to have the most frequently used and popular stickers at your fingertips. The 4xSecureTM protection technology makes it impossible to intercept your data, which is encrypted and stored exclusively on your phone. The heart of our company is located in the most secure and highly protected place in the world, where reputation in the field of information security is valued as a national treasure, and official registration is issued only to companies with perfect reputation. It is very easy to use DefTalk! Even a child will be able to understand the application due to its intuitive design. We thought every detail through for your convenience. Our stickers will make your communication more enjoyable! The best designers of the world have developed unique and convenient stickers just for you. 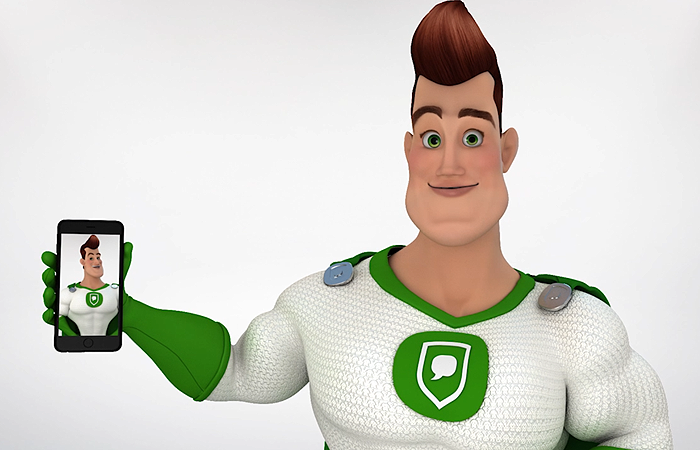 Plus, our super-hero Defman is always ready to help you express your emotions more clearly. The SmartSmileTM technology will save you time! Now, thanks to the learning algorithm, you will always have the stickers you need within your reach, allowing you to write sentences with just a few taps. With DefTalk you can encode the data on your phone or even set a password for the app itself, so that no one will be able to take your phone and accidentally read something. You can also put a self-destruct timer to delete all correspondence after a specified time period.